This is the first in a series of posts reviewing good direct mail creative. Every month (or so) I plan to review a piece of direct mail that finds it way into my mailbox or to my desk from a friendly colleague. I am of course looking for more than pretty pictures. I look to see if it’s targeted, stands out in some way (creative, interactive…), uses images and copy well, has a call to action … as some of the essential attributes that make for good DM. And if you see something good or better, please send it along with your thoughts. Thanks. 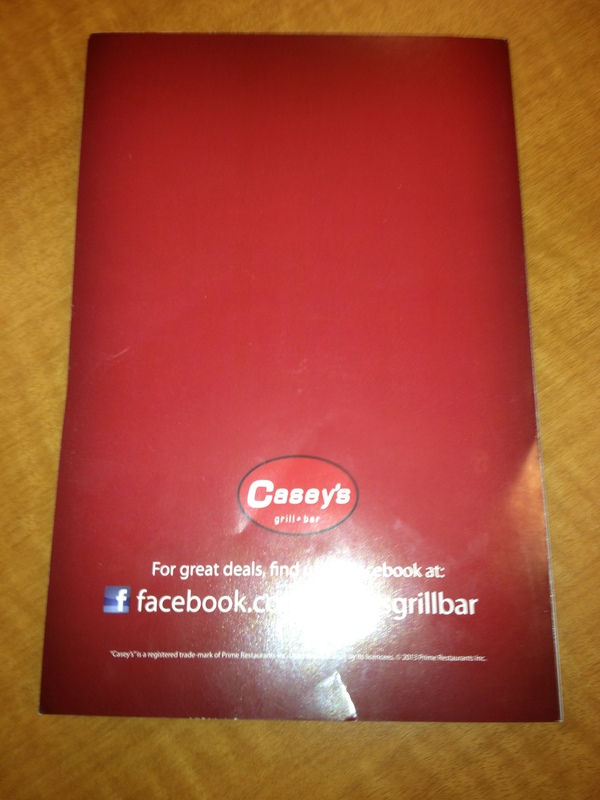 I should begin by saying Casey’s was a client of mine in 2012 – I played no role in it’s design. If you like a good patty on a bun with all the fixings you will have noticed that the big burger chains all use direct mail to entice us into their restaurants (and do so with double digit response rates). Some of the mid range sit down restaurants have followed suite but not all of them. So it was a pleasant surprise to see a nice dm piece from Casey’s. The two panel piece is well designed for what appears to be the company’s first foray into DM. Overall it has a clean design that catches your eye and is easy to digest (intended pun). Large, appetizing product shots of 3 menu items (5 total shots 2 are repeats) on white plates/bowls against a white background are used to drive all focus on these select dinners. Unlike some in the food space, we are not overwhelmed with photos and copy – there is plenty of white space so nothing gets hidden. 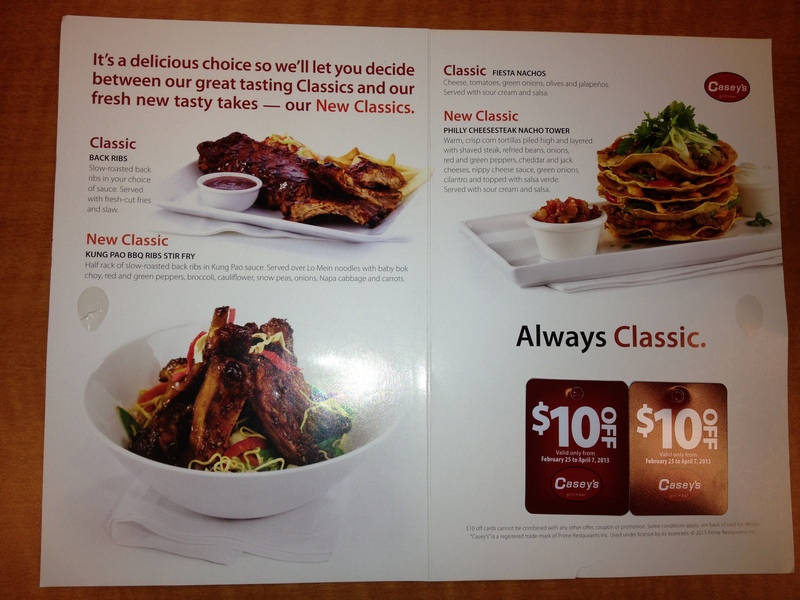 Copy is short and to the point as they try to leverage the appeal of old classics (i.e. 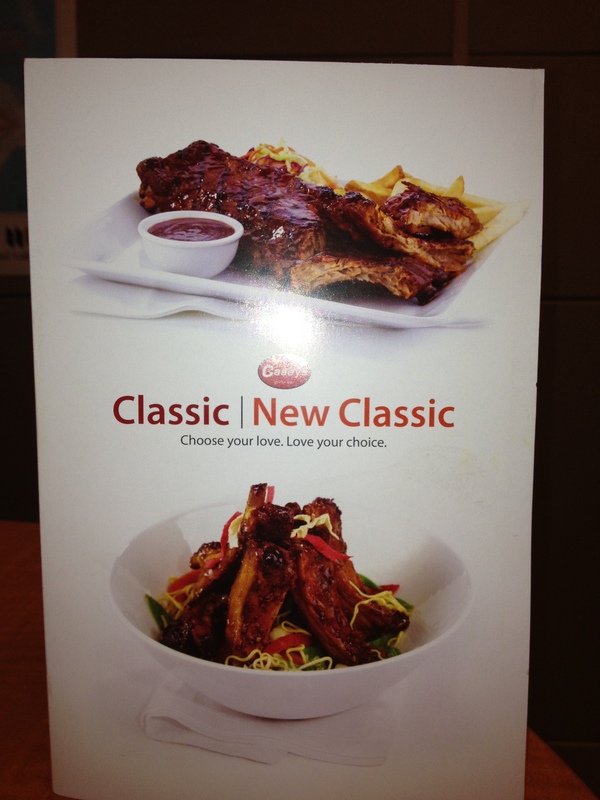 back ribs) to highlight new classics (Kung Pao BBQ Ribs Stir Fry). The call to action features an offer with two $10 off mini cards (minimum purchase of $19.99 not including taxes; good for 5 weeks). So the discount can almost reach 50% which is great value for the consumer. And the cards are cards – not tear away coupons. I am always a fan of making a piece more interactive – if you can afford a card over a coupon, go with the card. And if you don’t think you can afford it for your whole run, test to see if the lift covers the additional cost. It ends with the back panel in Casey’s red and reminds us that to get great deals, follow them on Facebook. How often do you see Facebook call outs with no explanation of what you get there – I need more than just Follow us on Facebook? Casey’s got it right by telling me what I can expect if I do. Banks Charge Existing Customers More? This is the first in a series of posts under the title “This is NOT Loyalty”. This series will highlight (pick on?) examples of companies not practising ‘good’ loyalty. If you have any examples please share them so we can have some ‘Loyalty gossip’. This first post is from an article I came across recently in the Toronto Star newspaper about mortgage rate lending. (http://goo.gl/9BgRb). Ask yourself this question – do banks offer loyal customers better mortgage rates? You would think with the reams of data they have at their fingertips on our financial habits – chequeing accounts, credit cards, car loans … they would recognize that relationship by means of better mortgages rates to existing customers. But a Bank of Canada study found this was not the case. Customers who shop around and sign with another lender get better mortgage rates than they would staying with their current financial institution. The study suggests the reason is that the prospective lenders offer low rates in an attempt to win all of your banking business. Your current bank stands not only to lose the mortgage revenue, they stand to lose their entire relationship with you. Another point of interest in the study was that mortgage brokers do get better rates versus going it alone. The ‘but’ however could be that you will be dealing with a bank that isn’t a ‘well known’ bank or is online only and some people want a lender with a physical building that can you offer you a full suite of financial products and a physical retail space to visit. 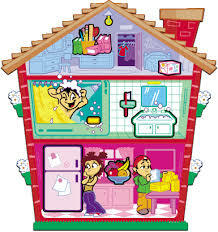 And finally the researchers discovered that younger buyers and first time home buyers tend to get better rates. “Lenders are more willing to offer discounts to younger borrowers in return for future expected profits,” the study says. The advice then is to shop around. Behave like that 30 year old first time home buyer who does their homework and is willing to move to another bank for a better rate – it can save you money. For example you can save $832 for a $176,000 mortgage* if you get a 3.1% rate vs. a 3.2% rate over a five year term. If you multiply that over the typical twenty five year amortization OR if you get more than a 0.01% rate reduction OR if you live in a larger city with more expensive housing and higher mortgage amounts … the savings can quickly multiply. Are Social And Direct Good Friends? There isn’t a lot of research on how direct mail and social media work together. So I am happy to see an infographic based on some work from Market Reach – an arm of UK’s Royal Mail (equivalent to our Canada Post or USPS). There are 3 main points highlighted, many of which I have come across in where direct mail is compared to other media – mass or email for example. The net takeaway here is that direct mail still works AND it works very well with social media. One of direct mail’s core strengths has always been reach. For all intents and purposes, in the industrialized world, direct mail can reach virtually every citizen in a country given there is a mailing address for almost every home, farm and business. No other channel can do that. TV used to come close but those days are long gone. Newspaper and magazine readership declines year after year and of course anything online is specialized and fragmented. What’s of note with this second point is the finding that almost 1 in 3 (29%) of consumers who have used social media in the past year are likely to be heavy users of direct mail more than they are of other channels. Omnichannel marketers can say I told you so. 3. Attitude Towards Direct Mail – It’s Good! Perhaps surprisingly to some, 49% percent of social network users still prefer getting paper bills and 81% like getting special offers or coupons in the mail. So paper and sending something of interest through the mail even to ‘social-ites’ is alive and well. At Canada Post we have found similar results when we ask Canadians what channel they prefer to receive advertising from companies – direct mail is still #1. If you happen to come across any other work on these two areas working together – direct mail and social media – please pass it along. Thanks.